Looking for how to integrate Sakari and Flowster for text messaging? Have you considered using your Zapier integration? In this article, you’ll discover how to use Zapier to integrate Zakari and Flowster for text messaging so you can more easily send SMS reminders, alerts, confirmations and marketing campaigns. Sakari SMS is a cloud-based messaging platform built to support your business. Easily send customized alerts, reminders, events and notifications to customers and employees, wherever they are. Have real-time two-way conversations with customers and employees using text messaging. Personalize each message with templates and customer data token fields. Enhance your messages with their hosted rich text messaging pages. 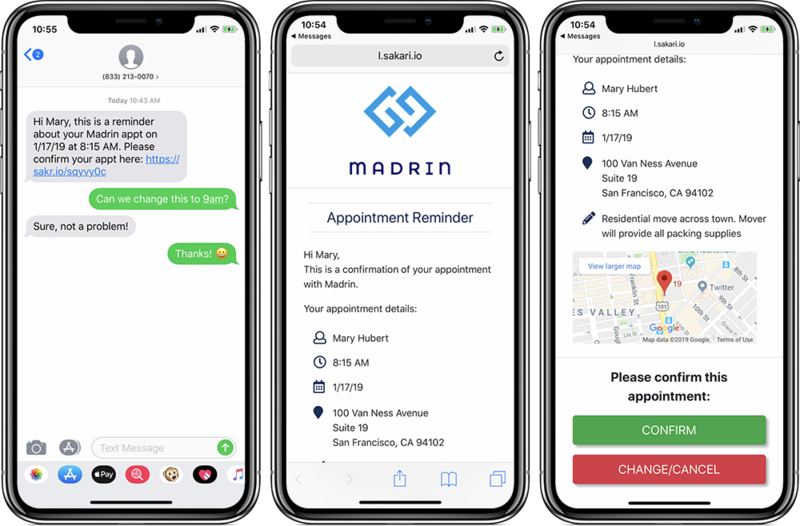 Built with a powerful suite of business text messaging features including bulk tools, multiple branch accounts, unlimited users, and API integration with 1,000+ applications, the Sakari platform is designed to help start and scale your messaging. Flowster’s Zapier connection with Sakari allows users to sync invoicing data across both platforms. Configure your sync in minutes to begin leveraging the best of both platforms. Zapier supports over 1,000 applications and allows you to mix and match triggers and actions to make your own automation. Learn more at zapier.com.